If you’re in the market for a house and like the idea of small-town living then look no further than Adams Bluff in beautiful downtown Belmont. 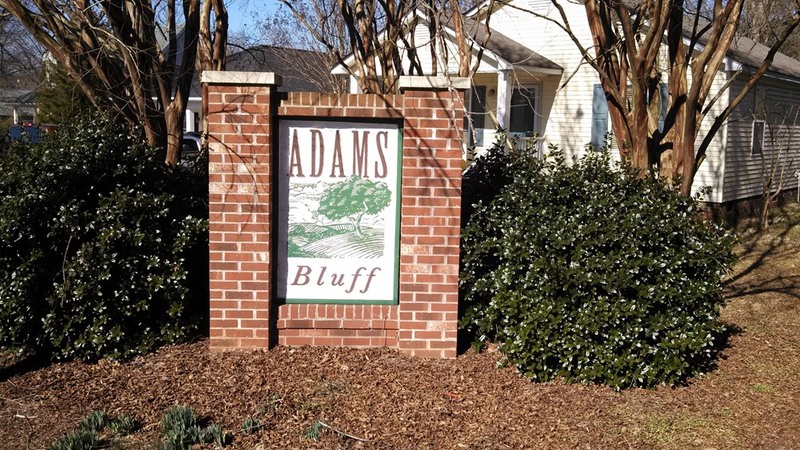 Just 3 blocks from the quaint center of town, Adams Bluff is south of Wilkinson Boulevard between Park and Catawba streets. Moving to Belmont does not mean giving up conveniences, however. Downtown Belmont is bustling with restaurants, shops and Belmont’s own Rivermen Brewing Co., which will be within walking distance when it moves to its new downtown location on Ervin Street. For commuters, downtown Charlotte is just 10 miles away, and the airport is only 6 miles. For recreation, the U.S. National Whitewater Center is a quick 6 miles down the road, as is the Daniel Stowe Botanical Garden. Homes in Adams Bluff range in size from about 1,000 square feet to 2,000 square feet. Despite being so close to downtown, the neighborhood is surrounded by wooded areas and has 4 walking trails throughout. An average of 1 home has sold per month in Adams Bluff over the last 12 months. Currently, there are 3 homes listed on the market, all of which are under contract. Adams Bluff’s 3 months of market inventory is still well below the average for Belmont and Gaston County, which have 5.2 and 5.4 months, respectively. Homes have sold for more than list price in the neighborhood during the past year, bringing the average seller discount to just 0.5%. Of the 12 homes sold, only 4 sold for below full list price or more than list price. The highest and lowest sales prices in the neighborhood were $169,900 and $120,000. Expect to pay an average price per square foot of about $111 in Adams Bluff. Belmont is rapidly evolving as a standalone destination and not simply a bedroom community for Charlotte’s work force, and Adams Bluff is a perfect place to call home!